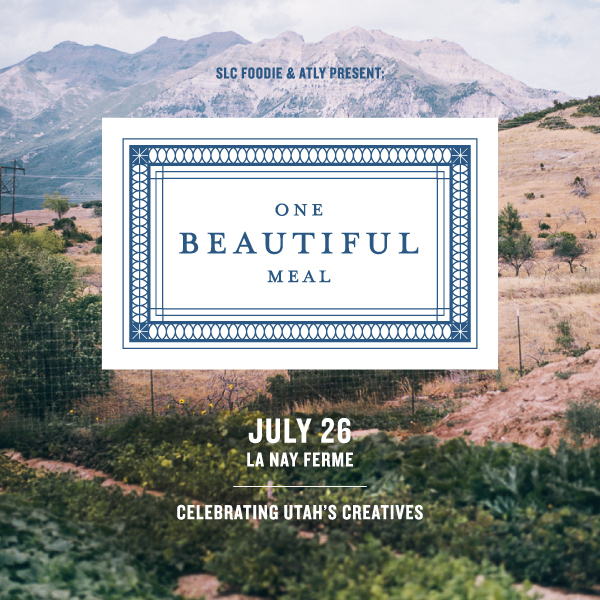 We’re excited to bring back One Beautiful Meal at La Nay Ferme again. This time we’re partnering with atly. 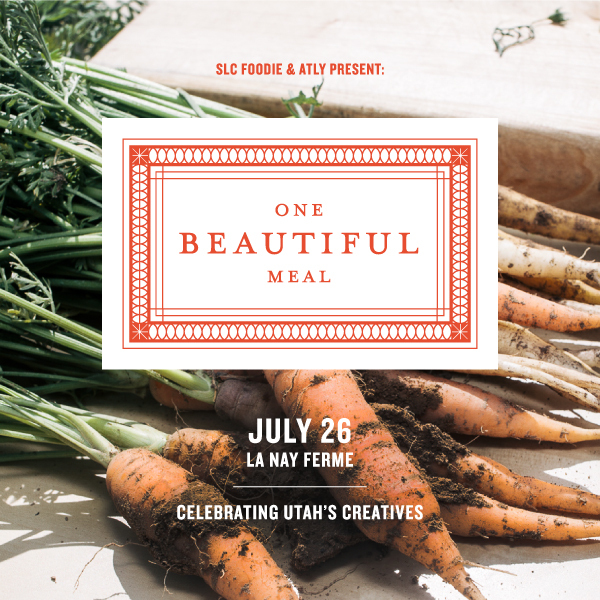 We’re celebrating Utah’s creatives. 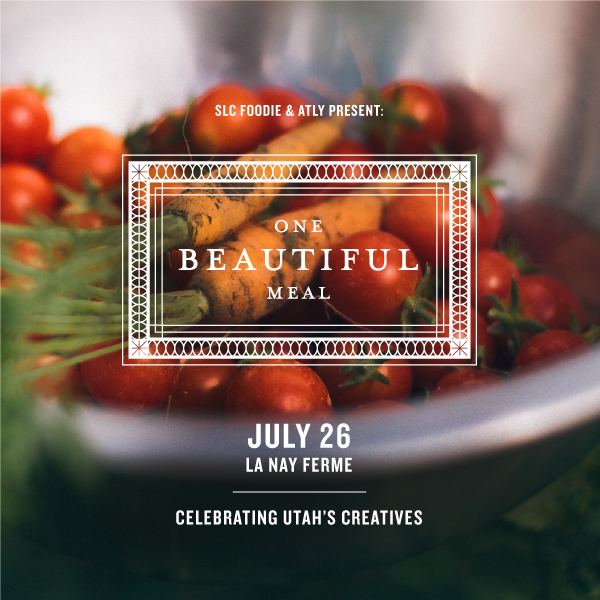 I know, there are a lot of creative-types in Utah worth celebrating. These are the creatives who have caught our eye in the last year. One might thing they would all be in the food industry, but not so. We opened the invitation to entrepreneurs and creatives in other industries to make the evening a little more diverse. 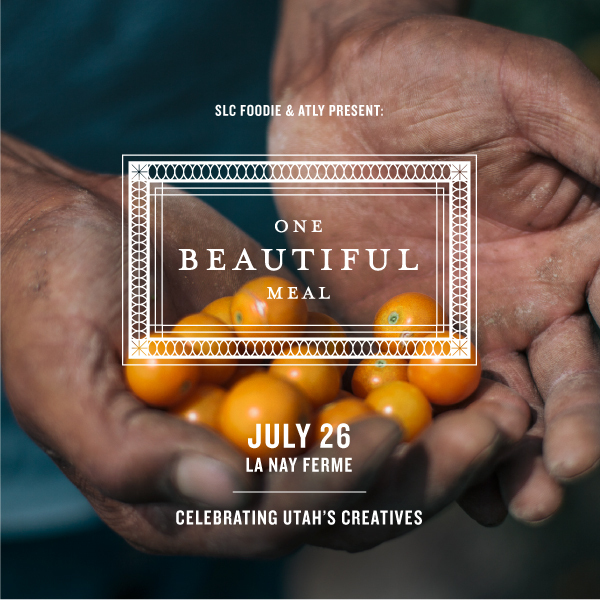 Utah is emerging with great design and entrepreneurship as well as food. Lots to celebrate. Read more and register here – SLCMixers.com. Special thanks to Valerie Jar for perfect design for the event. Below are a few of the other options she gave us. See more of her work here. The photos are by Michael Friberg. See his work here. atly is the main sponsor of One Beautiful Meal. It is the commons where expert instructors, inspiring content and eager students meet; where you teach and are taught; where instructing is about influencing and learning is about becoming. atly is where education and self-improvement intersect.